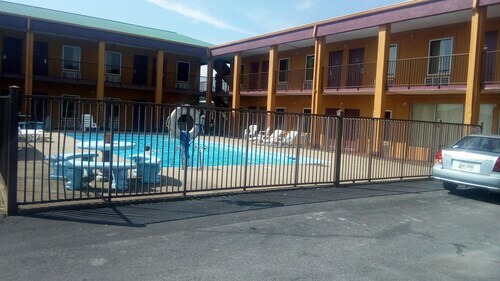 Situated near the airport, this motel is 3.6 mi (5.7 km) from Sycamore Shoals State Park and within 12 mi (20 km) of East Tennessee State University and Buffalo Mountain Park. Bristol Motor Speedway and Johnson City Medical Center are also within 16 mi (25 km). Situated in Elizabethton, this motel is 1.1 mi (1.8 km) from Sycamore Shoals State Park and within 9 mi (15 km) of Tipton-Haynes Historic Site and East Tennessee State University. Buffalo Mountain Park and Johnson City Medical Center are also within 12 mi (20 km). 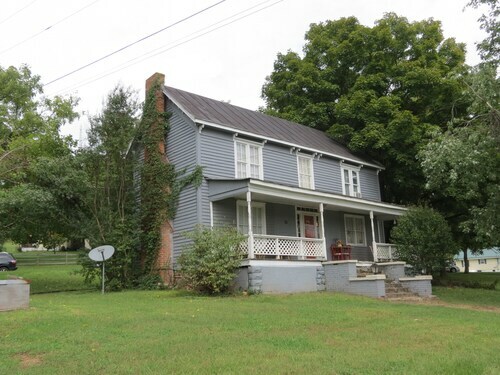 Situated in Elizabethton, this vacation home is 2.8 mi (4.4 km) from Sycamore Shoals State Park and within 12 mi (20 km) of Tipton-Haynes Historic Site and East Tennessee State University. Buffalo Mountain Park and Freedom Hall Civic Center are also within 12 mi (20 km). 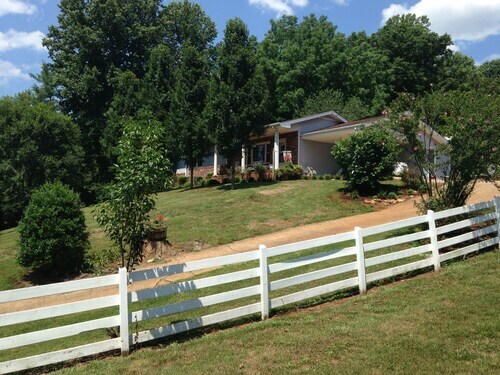 Situated in a rural location, this historic farm stay is 9.8 mi (15.8 km) from Sycamore Shoals State Park and 12.4 mi (19.9 km) from Cross Mountain Trailhead. Bristol Motor Speedway and East Tennessee State University are also within 20 mi (32 km). How Much is a Hotel Room in Elizabethton? Hotels in Elizabethton start at $50 per night. Prices and availability subject to change. Additional terms may apply. There are just a few places to stay within a short drive of where the locals are in Elizabethton. So book as soon as you're ready if you'd like to stay central. A good option amongst only a small number of Elizabethton hotels within a 2 miles (3 kilometers) walk of the center of downtown Elizabethton, is the Americourt Hotel. 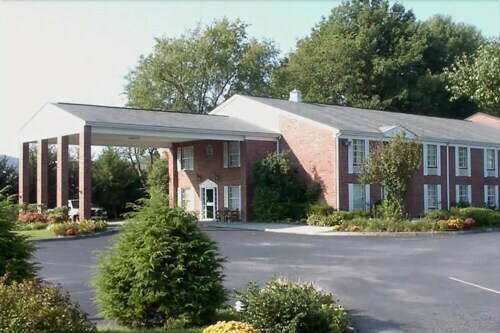 The Quality Inn Johnson City is around 12 miles (19 kilometers) from the main part of Elizabethton. An alternative place to stay is the Hampton Inn Bristol, which is approximately 17 miles (27 kilometers) away. Other Travelocity-registered hotels are the Hampton Inn Johnson City and the Days Hotel Bristol Medical Center. Looking to get out of the center? Eastern Tennessee boasts many options to check out. Check out Eastern Tennessee's historic mansions and history museums and also fall in love with its mountains and rolling hills. In this fascinating part of United States of America visitors can also try their hand at mountain biking. Looking for activities? Spend some time visiting East Tennessee State University and Johnson City Mall, which can be found in Johnson City, 9 miles (15 kilometers) west of Elizabethton. A few Travelocity-listed Johnson City hotels include the Courtyard Marriott Johnson City and Holiday Inn. 20 miles (34 kilometers) to the northwest of Elizabethton, you will reach Kingsport, which boasts the Americourt Extended Stays and Motel 6 Kingsport Tn. Should you choose to stay in Kingsport, set aside some time to check out the Warriors' Path State Park and Kingsport Town Center Mall. Prior to departing from Tri-Cities, be sure you are able to join crowds watching an exciting game of sport. Visit U.S. Cellular Center, located south of Elizabethton. Modern visitors that enjoy the idea of locating a hotel in the neighborhood, reserve a room in the The Pioneer Building or Grand Bohemian Asheville, Autograph Collection. For the modern traveler planning on arriving or departing via Tri-Cities Regional Airport, you may like to book a room at Econo Lodge, or Sleep Inn & Suites, which can both be found close by.